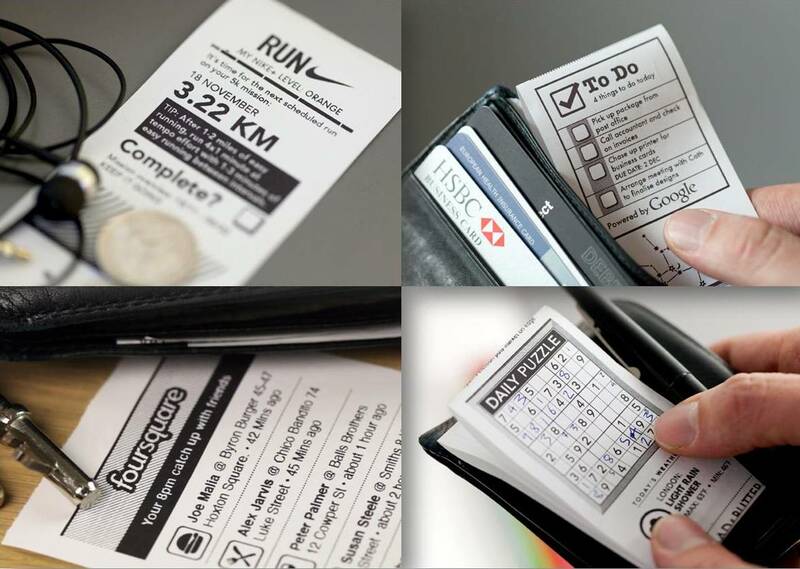 The Little Printer is a compact, thermal, ink-less printer. What makes it special is its cloud based nature and that you can connect to it with your iOS/Android to print great useful content from Nike, Google, Foursquare and The Guardian. BERG is probably going to add more services to it in the near future I suppose. The Little Printer uses BERG Cloud to wirelessly connect to the internet. These snippets can be handed out to friends, stuck on the fridge or boards as reminders, keep it handy in case your phone runs out of battery and you need your To-Do list or Google Calendar meetings schedule, play Sudoku on the train when you want to save your phone battery or something. I reckon we’ll find more things to do with it as we use it.